Yes! 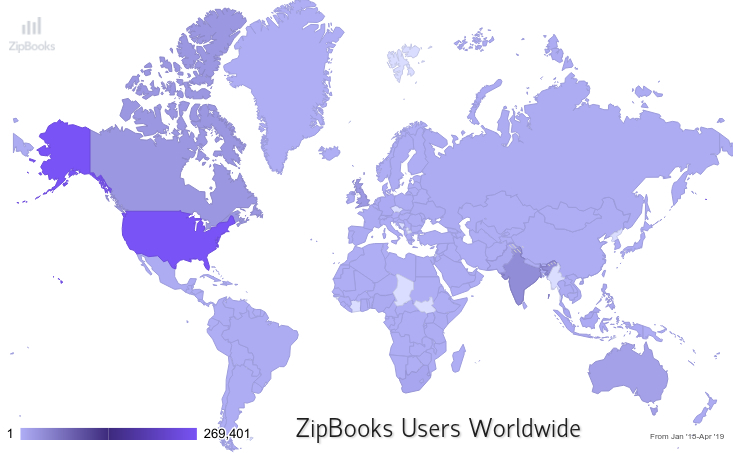 You can find ZipBookers all around the world. While we currently only offer the product in English, we’ve built an interface that’s so simple and intuitive, anyone could use it. Wherever you live, whatever language you speak, ZipBooks offers the power and intelligence you need to back your business. There are some features that may not work outside of the U.S. For example, you may not be able to sync directly with your bank account, but you can always enter expenses manually. Additionally, we find that many of our international customers use global payment processors (like Stripe or PayPal) or straightforward credit card payments. These transactions work seamlessly with ZipBooks, no matter where you live. ZipBooks also offers over 100 currency options, so you can customize transactions to your preference. When needed, you can even invoice in a different currency and still have your reporting done in your default currency. This gives you the liberty to serve customers all over the globe, and still track your financial data efficiently.